Most commonly known for their delicious range of seasonal gins, this is Fynoderee's first foray into the world of vodka - and boy is it good! 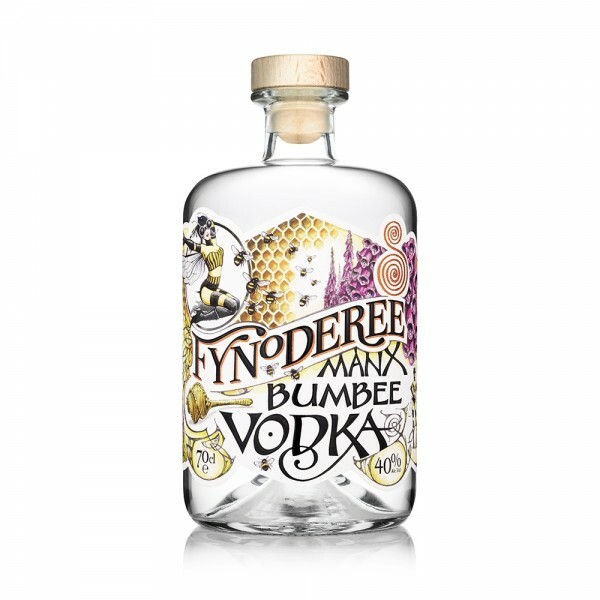 Produced from redistilling high-quality grain spirit with the tiniest touch of pure Manx honey, Fynoderee Manx Bumbee vodka provides a velvety soft palate with a smooth, creamy finish. This vodka stands as a continued testament to the world-renowned Isle of Man distillery, with genuine Manx roots and heritage. Add to the fact that the 'Master Distiller' Gerard Macluskey is in charge of the copper pot stills and you can be assured of yet another premium spirit from Fynoderee. Enjoy neat, or bring an exciting buzz to your cocktails.